Relate: Why Lazarus? Am I the only one who wondered this? There have been others who have risen from the dead. There was the widow’s son and Jairus’ daughter. Why weren’t these two one the Pharisee’s hit list? I think three factors come into play here. First is the who. The other two were both marginal people. Neither of the other two are even mentioned by name. Lazarus, on the other hand, is a well connected and well to do man with many friends. He is a pillar in the community. Second is the where. We don’t even have a location in the gospels for where Jesus was when he healed Jairus’ daughter. All it says is that it was on the other side of the lake from the Gadarenes. If we are talking a straight east-west across then this would have been somewhere south of Tiberias. If we are talking directly opposite it would have been west of Capernaum. Either way, this was in some town not even worthy of being named. The widow’s son isn’t much better. Nain is a small town on the northern edge of Mount Moreh. It is too far west to be a way station for pilgrims traveling between Galilee and Jerusalem. It is south enough that it almost bumps against Samaria and there is as little commerce as possible between Jews and Samaritans. Nain isn’t on the way to anywhere. 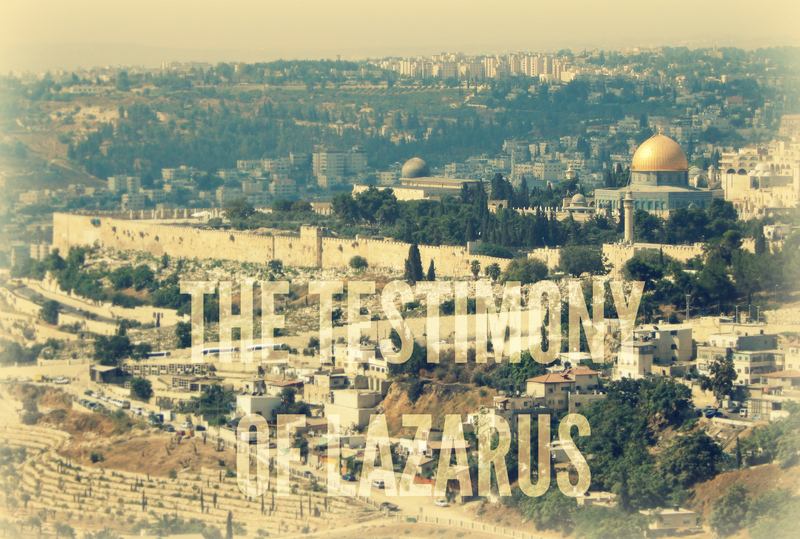 Lazarus, however was raised right there in the suburbs of Jerusalem. The third reason is the when. The Passover is about to start and the entire Jewish world is gathered right there in Jerusalem. Jesus is the talk on everybody’s lips and, if you want to actually visit someone he raised from the dead, Lazarus is holding an open house. These aren’t some credulous backwoods Galileans talking about miracles the rest of us cannot verify, this happened right here right now. React: Lazarus didn’t have to have any profound speeches in order to glorify God. He didn’t have to be incredibly persuasive or convincing. He took no classes in apologetics or epistemology. He didn’t even go through an evangelism explosion class or memorize the Romans Road. He simply had to be. All he had to do is show people the change. This is where I was and this is where I am now. That’s it. Sometimes I think we over complicate evangelism. We try to build up this sound, reasoned debate, and then we get frustrated when nobody seems convinced. We argue the validity of scriptures, the existence of God, the details of creation, and points of morality. Scripture is valid for what they say, not what they are. God is. He needs no defense. The rest are peripherals. Your testimony is irrefutable. Just tell people, “This is where I was, this is where I am, and it is all because of Jesus.” The blood of the Lamb and that word of testimony are what will overcome the devil. Let me bring glory to You, God. Let the difference You have made in my life be evident for all to see. Give me the courage, and the boldness, and the passion to share what You have done in me to all the world. You are my Savior. Let my love for You be highly contagious. I’ve been thinking about my post of 5 days ago regarding division in the church and feel the need to clarify something. Unity in the church does not equate to uniformity. We should not all look the same inside the church because the people in the culture around us are not all the same. Within the bounds of correct belief and practice is the opportunity for diversity. by Pastor Joe Quatrone, Jr. The Christian life is not a playground; it is a battleground. We are children in the family, enjoying the fellowship of the Gospel (Phil. 1:1–11), and we are servants sharing in theadvance of the Gospel (Phil. 1:12–26); but we are also soldiers defending the faith of the Gospel. 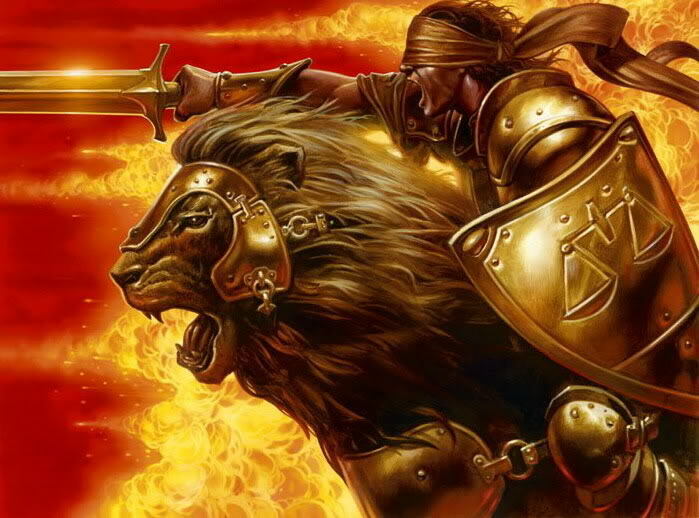 The believer with the single mind can have the joy of the Holy Spirit even in the midst of battle. “The faith of the Gospel” is that body of divine truth given to the church. Jude calls it “the faith which was once for all entrusted to God’s holy people” (Jude 3). God committed or entrusted this spiritual treasure to Paul (1 Tim. 1:11) and he in turn committed it to others, like Timothy (1 Tim. 6:20), whose responsibility was to commit this truth to still others (2 Tim. 2:2). This is why the church must engage in a teaching ministry, so that each new generation of believers will know, appreciate, and use the great heritage of the faith. Are There Things God Can’t Do? In our family devotions we are studying God’s omnipotence with the aid of William Lane Craig’s excellent children’s book God is All-Powerful. “Omnipotence” comes from the Latin words omni(all) and potentia (power). 3. make a stone that is to heavy for Him to lift. As Dr. Craig explains, that would be like asking if God can make something which can’t be lifted by someone who can lift anything! 4. make someone freely decide to something. If God makes you do something, then you don’t do it freely. If you do it freely, then God doesn’t make you do it. It is important that Christians understand what exactly it means when the Bible says, “Ah, Lord God! It is you who have made the heavens and the earth by your great power and by your outstretched arm! Nothing is too hard for you” [Jeremiah 32:17].